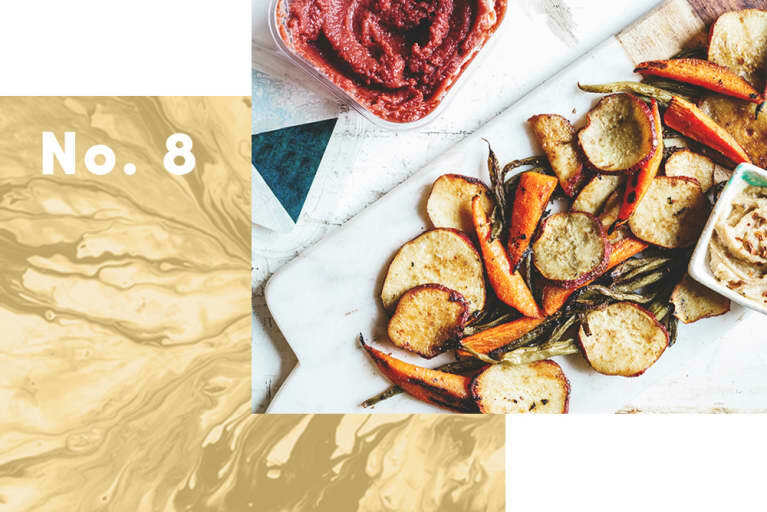 This year, fervor for food is at a fever pitch, with the world of healthy cuisine expanding, giving wellness-minded consumers a bounty of options to choose from. The influence of social media is strong, with the aesthetics of food sometimes trumping even flavor (we see you, Unicorn Toast! ), and labeling a food identity suddenly feeling more confining than empowering. This year, functional food finds itself at the forefront of our conversations and shopping lists, with healing herbs available in tea form at neighborhood supermarkets, and foods you already have in your pantry becoming therapeutic (with a large enough dose!). 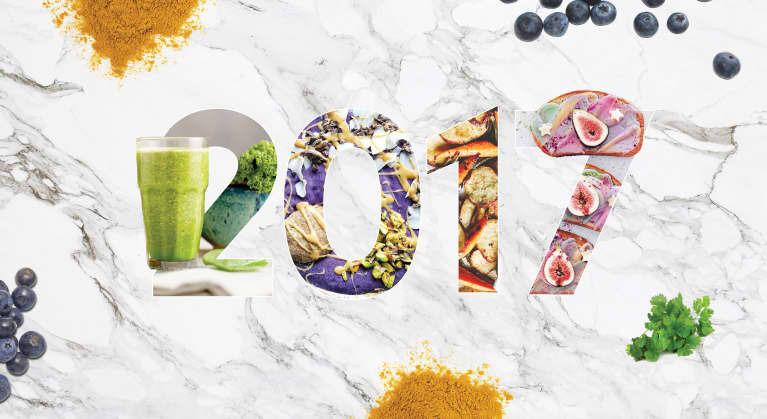 Read on for 2017’s food trends in full! Call it a reaction to the chaotic climate we're living in or simply a fanciful hearkening back to childhood, but the unicorn craze is out of control. With Insta-celebs like Taline Gabriel and Vibrant & Pure leading the way and trend-forward cafes like Brooklyn's The End contributing their own creations, lattes, toast, and even smoothies aren't free from the rainbows. "I believe more and more people are becoming interested in fantasy food as it’s an escape from the everyday," Taline told BuzzFeed. "We are bombarded with beautiful images on our screens all day. I believe people want to see something different—something they haven’t seen before. I like to offer them that!" Made from blending some type of creamy, white base (cashew cream, cream cheese, banana or cauliflower-based smoothies) with natural colorants like beet juice, goji powder, spirulina, chlorella, pomegranate powder, turmeric, blueberries and more, the resulting concoctions are filled with layered pastels and take the health and visual benefits of breakfast to the next level. With social media here to stay, we predict this trend will be too, with people spending more time on the presentation of their food, in addition to making sure it tastes delicious. Want to make your own? Get an easy tutorial here. 2. Would You Like Your Grains Soaked, Sprouted, or Fermented? Now that the gluten-free everything trend is losing steam, people are looking for new ways to make their grains digestible—and soaking, sprouting and fermentation have stepped in to save the day. The process simply involves submerging a grain or legume in salted water for 12 - 24 hours, before draining and drying or cooking normally. The process has mega-health benefits too. At mbg's most recent cookbook club, My New Roots blogger Sarah Britton explained: "Every seed is dormant until the conditions are in place for it to become a plant. If you take a sunflower seed and just eat it, you're actually eating a locked up plant. When you soak it, you're telling it that it's about to become an entire plant, because all of the nutrients to become that are inside, but they're asleep until you soak it. When you soak it, you're initiating the growing process and awakening the nutrition. Eating a handful of raw almonds isn't going to kill you—it's better than a bag of chips—but you're not getting all of the nutrients." Not into doing it on your own? Brands like TruRoots, Soul Sprout and Ezekiel bread have stepped up to the plate, with prepackaged foods that handle the process for you. Once limited to more simple herbs, adaptogens have suddenly hit the local tea aisle—in a big way. While chamomile is still around (see our mega-dosing trend, below), it's hard to find it amid the galangal ginger, baobab and Greek-longevity herbs that now crowd the aisle. Want to balance your blood sugar? Reach for a glass of moringa tea. Want to boost your immune system? Chocolate-flavored reishi mushroom tea has got your back. 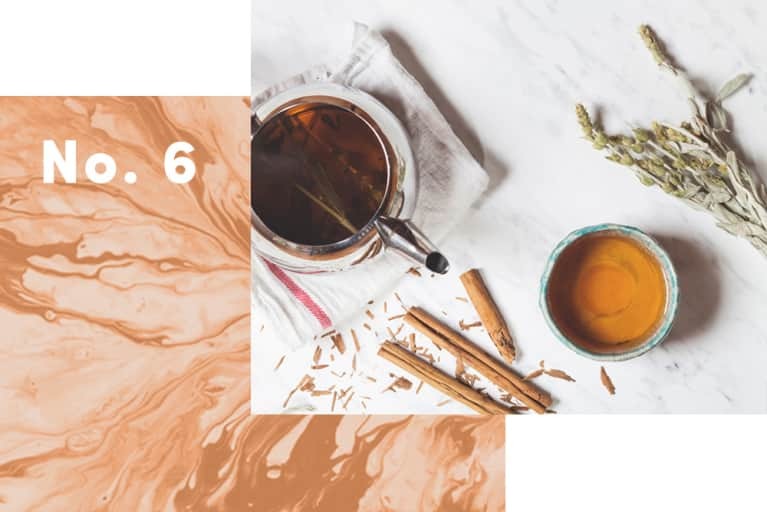 Brands like The Republic of Tea are leading the way with their SuperHerb line, where you'll find galangal ginger, milk thistle, sage, fenugreek, nettle and more. Specialty Scandinavian brand Ayla is selling a sea buckthorn tea designed to quell inflammation, and Pukka, now becoming more popular in the US after starting in the UK, sells teas made with ingredients like marshmallow root, holy basil, and lime flower. 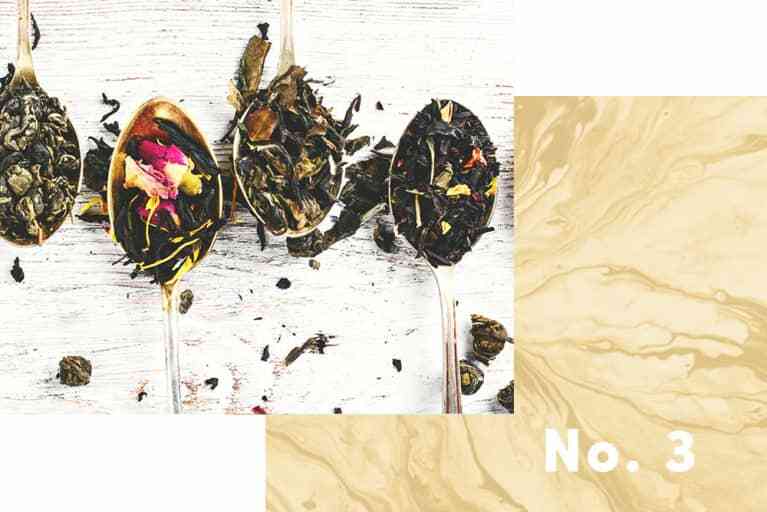 Argo Tea’s new Wellness Collection has blends called Energized, Empower, Detox, Relax and Renew, while Choice's new wellness teas were formulated in conjunction with an herbalist and professor at a natural health university, with ingredients like burdock root, dandelion, and eleuthero. Now that people have realized how easy it is for them to use their daily hydration method as a way to boost their health, they've also begun experimenting with creating their own herbal concoctions at home. With the widespread availability of herbs online, it's become easier for people to play around with their own healing tonics, making elixirs to combat anxiety or give themselves more energy. 2017 is the year of leaving food labels behind, whether it's gluten-free, vegan, paleo, clean food or any other diet type. With people realizing more and more that a healthy diet is personalized, more people are leaving behind the labels of yore to listen to their body and eat intuitively. While for some labels can be merely limiting, for others they can lead to a lack of joy around food, and a fearfulness that can even turn into orthorexia. 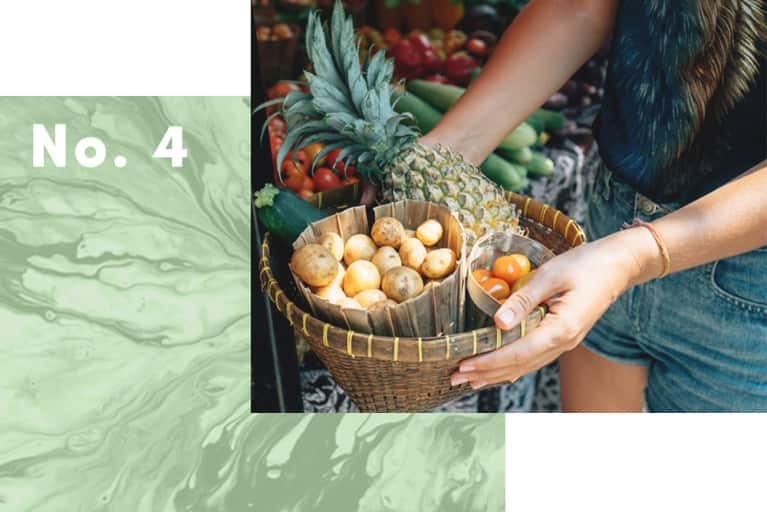 UK healthy blogger sensation Deliciously Ella knows this better than many, having recently taken the effort of deleting any reference to "clean eating" from her mega-popular blog. "When I started my blog, I used the term 'clean eating' which I took to mean natural and unprocessed foods," she said. "As the term has continued to be used, I have distanced myself from it as I felt the meaning has changed and has been overused to package negative fads, which I do not support. I am removing the word 'clean' from posts to ensure no relation to the new meaning of the word and what it has come to represent." Instagram superstar Rachel Mansfield agrees. "Using labels can lead to disordered eating and that can really mess with a person mentally. If someone classifies themselves as "paleo" but they really want to have a piece of pizza once in a while, a label shouldn't stop them. I think it is also society learning the concept of having everything in moderation. Anytime someone asks me what I am or what diet I follow, I say I'm the Rachel Label. I eat what I crave and listen to my body!" Bottom line: eat what your body wants, and make no apologies for it! With everyone and their mother quitting sugar, people are looking for more savory flavors in their snack game. The juice fridge at your local supermarket is being filled with drinks like Bonafide's new bone-broth spiked Drinkable Veggies, meant to be consumed on the go like their apple-sweetened counterparts, but filled with ingredients like spring peas, roasted red pepper, beets, spinach and more. They also contain between 3 and 8 grams of sugar per serving, while juices of a similar size start around 20 grams. Over in the yogurt aisle, renowned chef Dan Barber's Blue Hill is leading the savory charge, with flavors like tomato and parsnip offering a welcome alternative to traditional fruit-based versions. Snack bars are getting in on the game too, whether you take a taste of the Mediterranean with a sun-dried tomato and herb bar or go whole-hog (er, cow, that is! ), with one of Epic's Grass-Fed Beef and Habanero bars. At home, people are playing around with adding herbs to smoothies, to increase the flavor profile without adding more sugar. Basil pairs well with pineapple and mango, while parsley or cilantro lend a kick to something coconut-milk based, and earthy rosemary and thyme can add excitement to anything with berries and citrus. "Many people are struggling to get enough sleep and feel refreshed and energized during the day. This is a multifaceted problem, but I think one of the primary issues is our attachment to our devices late at night, which gives our eyes a whopping dose of blue spectrum light at exactly the time of day that our eyes are only supposed to be seeing darkness," says Dr. Ellen Vora, a holistic psychiatrist and sleep expert. "Seeing light sends the brain a message that it's daytime, and our bodies secrete hormones to help us feel awake in response to seeing light. This is great when we see the sun during the day, but this system really backfires when we're seeing artificial light close to bedtime. The result is a population of people not feeling tired at bedtime, and then dragging themselves through the next day on insufficient sleep." Following on the bio-hacking trend, people are now looking for easy ways to hack their sleep and get the perfect night's rest—without sacrificing any elements of their modern lifestyle. Sleep, Dirty Lemon's new beverage, contains rose water, magnesium, chamomile, lemon balm and passionflower to lull your brain into a state of peaceful rest, while Emergen-Zzzz is spiked with melatonin to signal your hormones that it's indeed time for bed. Prefer something a little more solid? 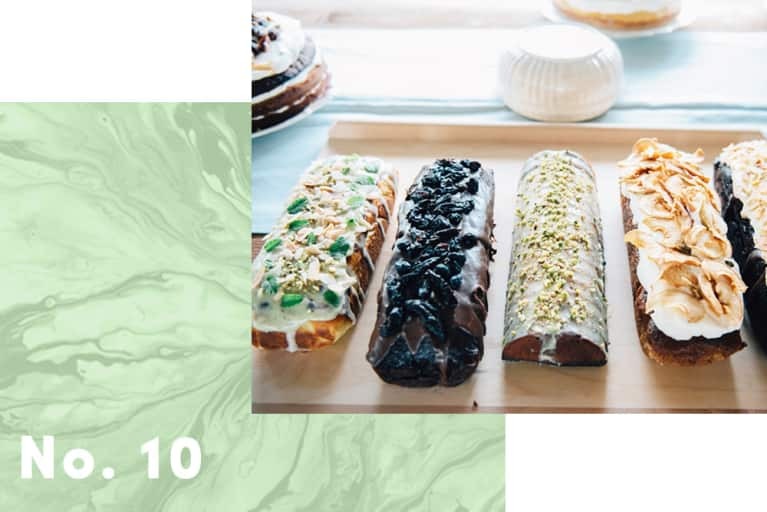 Dream Bars have you covered, with ingredients like lemon balm, chamomile and lavender that let you nosh your way to the land of Nod (and keep your blood sugar stable through the night while you're there). "People are looking to food and beverages to solve their sleep issues because there is a growing discomfort with relying on pharmaceuticals," notes Dr. Vora. "We used to think, great, there's a pill for that, whether it's insomnia or depression. We naively thought these pills a) worked and b) had no negative consequences. We now increasingly recognize these pills come with side effects, addiction potential and adverse effects on our health, and they don't even necessarily work all that well! As a result, there's a growing movement of people preferring a natural alternative, and many people recognize that food is the original medicine." Want to try it at home? This tonic (created by Dr. Vora) has chamomile, cherries, collagen and more, to ensure the perfect night's sleep. 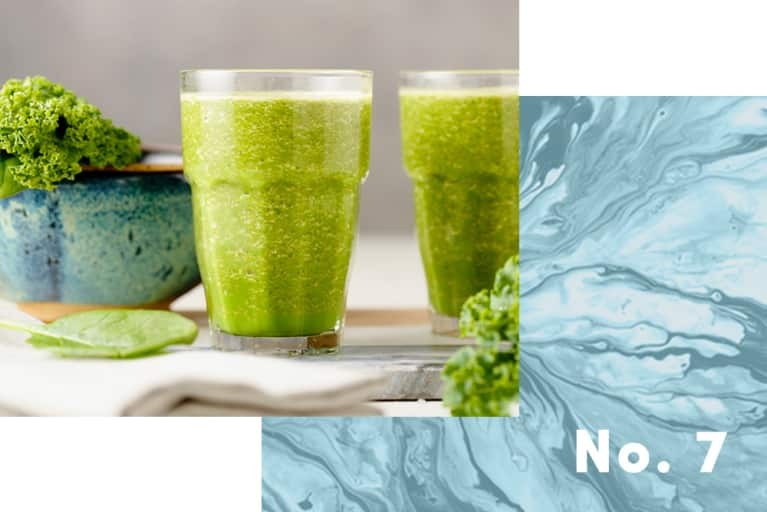 Whether you’re trying to cut back on sugar (including fruit sugars) or you just want to fit more vegetables into your morning, it looks like the backlash to the fruit-heavy smoothie bowls is … vegetable-heavy smoothies. 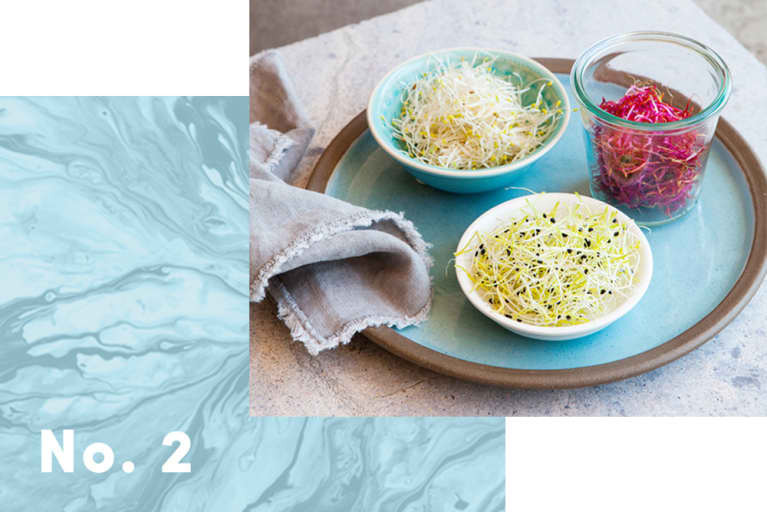 And with influencers like Lee Tilghman and Alexandra Tallulah creating vibrant concoctions out of vegetables, nuts, seeds, coconut, and other supplements, it’s easy to be convinced. "I started including cauliflower in my smoothies a few months ago," says Jeannette Ogden of Shut The Kale Up. "It doesn't change the taste at all, and it makes it thick and creamy." Jeannette typically uses 1/2 cup of frozen cauliflower with blueberries, spinach, kale, maca, banana, almond milk and coconut meat. Lee Tilghman stumbled upon cauliflower when she was looking for low-sugar alternatives for smoothies. "You should add some flavors in there to balance it out," she says. "I recommend using cinnamon, spirulina, black or blueberries, greens or sweet potato." Want to try it yourself? Vegetables like cauliflower and zucchini add mild creaminess when blended in their frozen state, while beets and sweet potato lend bright colors, lots of fiber, and natural sweetness. Made from pickled Japanese ume fruits and often available in a convenient paste from companies like Entube and Eden Foods, umeboshi is an alkalizing ingredient purported to stimulate digestion, and aid fatigue, nausea, and even hangovers. The fermented fruit is popping up as an ingredient in breakfast bowls, sauces, and tacos. 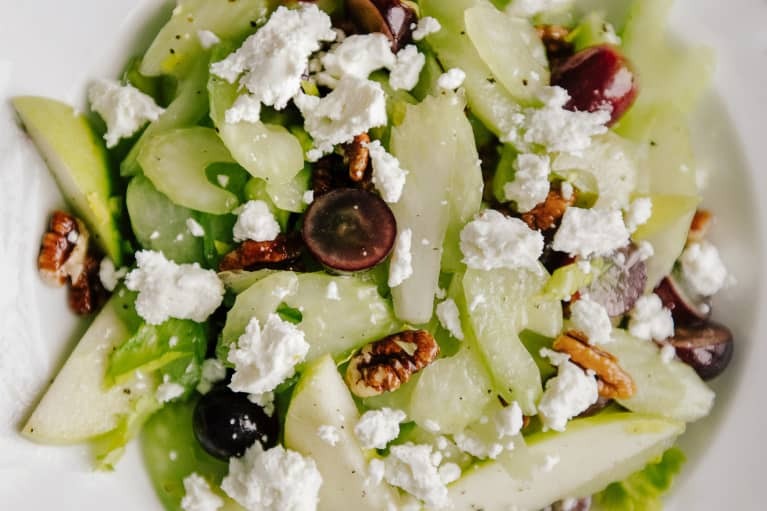 Candice Kumai, chef and author of the cookbook Clean Green Eats (and a new upcoming book on Japanese wellness), has been eating this sour fermented treat since she was a girl. 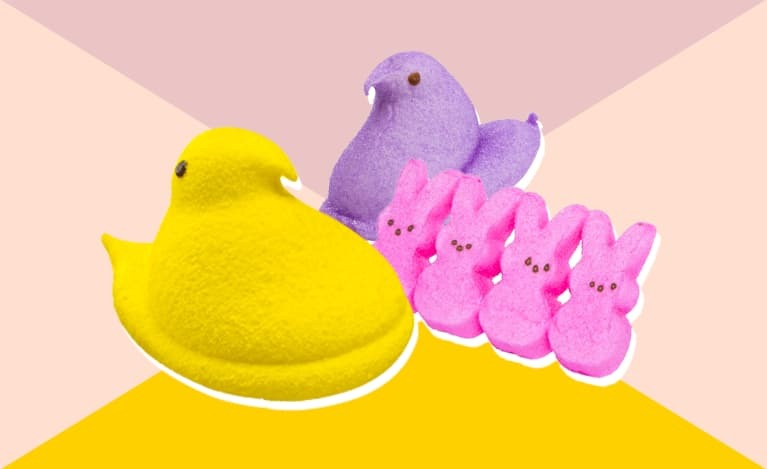 "They may aid in digestion and contain immunity-boosting properties," says Candice. "I like to have them with a bowl of steamed rice or create marinade with them. Everyone in my Japanese family aged so well, I'm convinced it's all in our diet!" The sweet-sour paste can be used can be used as a filling for nori rolls, nightshade-free pasta sauce, and in a digestive tonic with some warm water and honey. Instead of getting bogged down by all the latest superfood powders and supplements, many people are looking to take a simpler approach with what they already have in their pantry and consuming a lot more of everyday herbs and spices like turmeric, cilantro, peppermint, and chamomile. 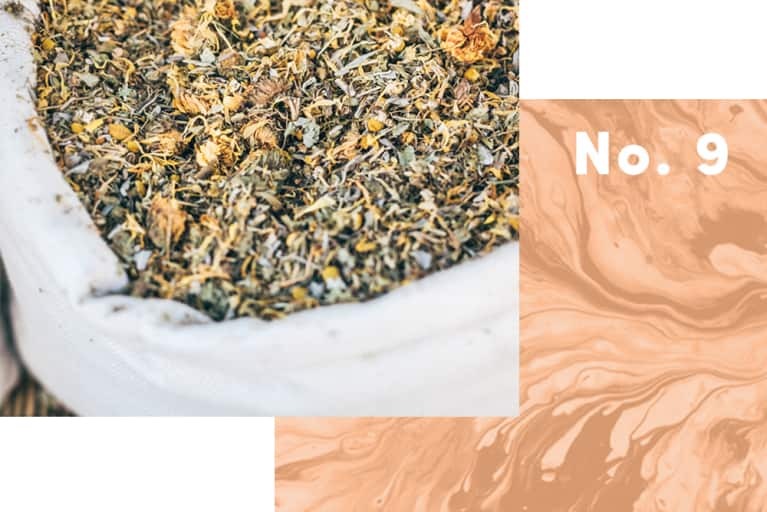 Rosalee De La Foret, author of the new book Alchemy of Herbs says, "Chamomile is one of my favorite herbs to talk about because it is so readily dismissed as a wimpy herb, but when you know how to use it correctly, it really packs a powerful punch." "Herbalists use chamomile to lessen both irritability and anxiety, to promote sleep and to address poor digestion. It’s not as warming as ginger and tends to be tolerated by most people. 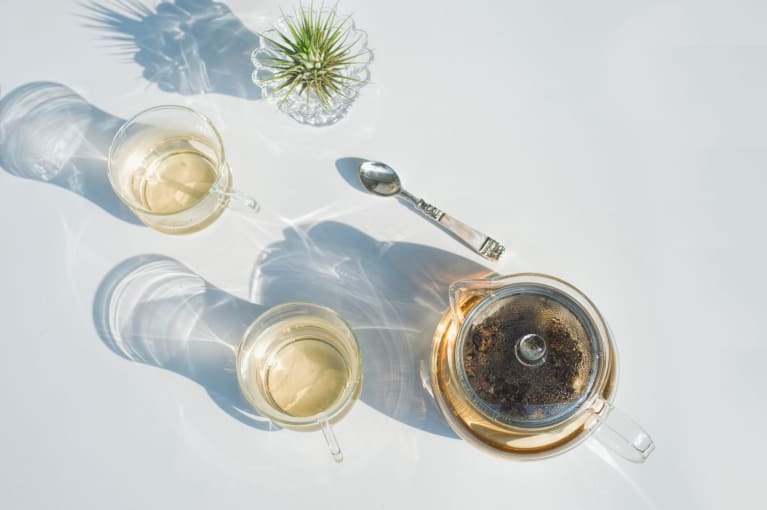 If you make a really strong tea of chamomile, say three tablespoons of the dried herb, steeped in 12 ounces of water for 10 minutes, you will feel how powerful it can be. It is incredibly relaxing and perfect for calming down after a stressful day." Others are seeing big results by consistently consuming spices, like Laura van de Vorst, who found that drinking a turmeric tonic every day, reduced facial flare-ups and body fat and alleviated digestive woes. "It helped relieve bloating, belly aches, and stomach cramps," says Laura. "Researchers have also tested the effect of turmeric on digestion. When they prescribed a daily turmeric extract to their subjects, they could see a favorable shift in bowel patterns and improvements in IBS symptoms after eight weeks." 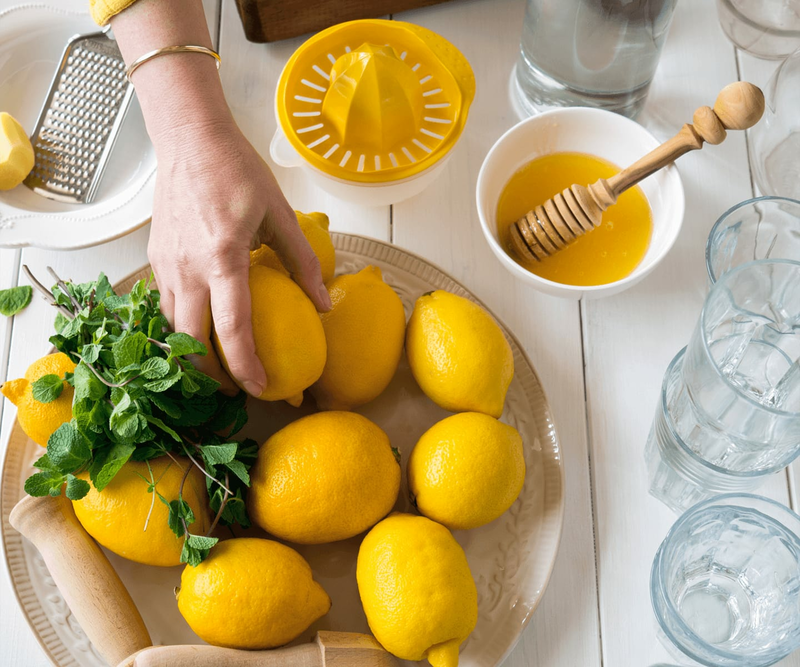 Bloggers like Elana Amsterdam are creating detox juices with an entire bunch of cilantro per serving, while Laura Wright of the First Mess whips up everyday elixirs with lemon and turmeric to fight off colds. CBD oil is made from hemp extract that contains anti-inflammatory cannabinoids. Because CBD oils contain only trace amounts of THC (the stuff that gets you high), these oils are legal in all 50 states and won’t turn you into a couch potato stoner. People have started taking CBD oils in the form of tinctures for reduced anxiety, depression, mild pain, and better sleep, among other things. While you can take the tincture straight under your tongue, many prefer to consume it in drinks or even sweets—and restaurants and cafes are taking note. 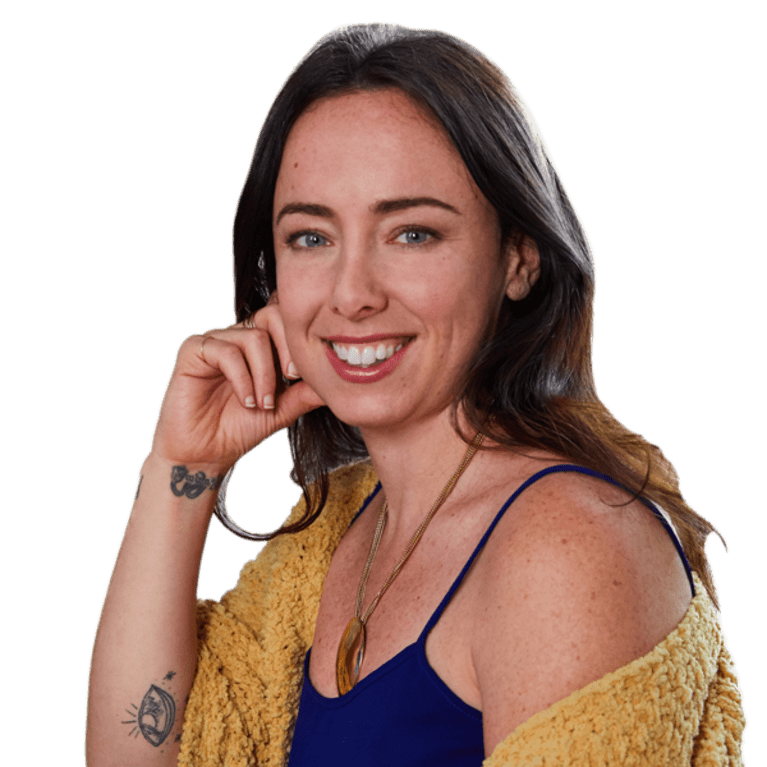 "CBD interacts with the body through the endogenous cannabinoid system (ECS) which is the part of the body that regulates the body’s homeostasis or general state of balance, which impacts integral functions of the body such as mood, sleep, hormone regulation and pain/immune response," says Madeleine Murphy, whose Brooklyn cafe sells a CBD-infused hot chocolate. "CBD is a beautiful, natural way to mitigate anxiety and "correct" the body’s reaction to outside stressors and also has been known to help with cigarette addiction, acne, diabetes, insomnia, and even PTSD. The flavor of CBD is very easy to work with. It has a nutty, earthy flavor very similar to the hempseed oil you buy in any grocery store or health market. We love the way it tastes paired with cacao but can be used in a variety of smoothies, salad dressings or elixirs." The rise in accessibility of these oils, thanks to companies like companies like Charlotte’s Web, we’re seeing more bottled drinks, lattes and even cocktails with CBD as the main selling point. Sakara life recently introduced Hemp Chocolates to their list offerings, and one mbg staff member reported that they gave her, "the best sleep I’ve had in weeks." Madeleine seconds that: "There is no 'high' or paranoia or brain fog," she says. "Just a subtle relaxed feeling and noticeably less of that anxious feeling that can tense up our bodies and make our minds race in circles ('Did I respond to that work email?' 'How am I going to get from Upper West Side to Bushwick for that concert tomorrow night?' 'What DID ever happen to Barb?') One of our guests recently put it best when they said that CBD drinks provided a mood-lifting, blissful effect, like a Swedish massage for your brain."